Which of these hoshidan peeps do آپ like the most? Do آپ think the آگ کے, آگ Emblem series as a whole deserves مزید fans? چنیں پرستار: Yes! Definately! It's too cool not to have more! Should there be firearms in a آگ کے, آگ Emblem Game? See my تبصرہ before آپ answer. Who'd start a club for آگ کے, آگ Emblem Warriors? Who is your fave آگ کے, آگ Emblem: Radiant Dawn Character and why? 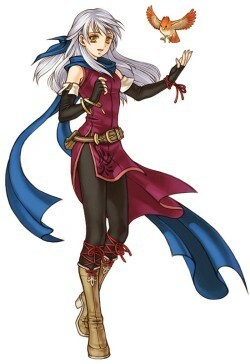 L'arachel is the ditzy young girl eirika meets with in the course of her travels L'Arachel is consistintly followed سے طرف کی the loyal and jolly Dozla and Rennac who just wants a bit of money. Though L'Arachel won't give it to him. آپ see L'Arachel a few times in the game prior to becoming an avialible unit including trying to get to one country but goes the wrong way and ends up in another. Nintendo shared screens & details for آگ کے, آگ Emblem: Awakening with Andriasang. Dual Tag: Team up locally with دوستوں for co-op battles. StreetPass features: Characters آپ make can be traded with others, while characters آپ get will support آپ سے طرف کی joining your army. a comment was made to the poll: Who do آپ like more?